Outlining as a prewriting practice is a technique that often gets a lot of pushback, specifically from students. It makes sense that students would look at an outline as a nuisance; it is just one more thing to write on top of the actual essay itself. Truthfully, drafting an outline in preparation for an essay is another step. However, in the very minimal amount of time that an outline will require, students will essentially be saving themselves a lot of time and frustration when it comes time to actually craft the essay. For beginning writers—or what I would consider early middle school-aged writers—an introductory paragraph can be a daunting task. Not knowing where or how to begin is a very real concern for many writers as they sit down to start the intro paragraph. A standard rule of thumb, especially for younger students, is to keep the introductory paragraph fairly succinct and direct. It should include about three sentences that introduce the reader to the subject or topic of discussion. The first sentence should be a general statement, which loosely explains the topic, novel, question, technique, etc. Whatever the prompt is about, the general statement should address that concept or comment on it. The second sentence will be more specific, but still pertain to the content introduced previously in the general statement. A specific statement goes further into how the essay will address this topic or concept. Finally, the last sentence in the introductory paragraph should be the thesis statement—this is the point or claim that the writer is trying to make regarding the prompt or essay question. For example, the boxes below could represent a strong outline for an introductory paragraph where the prompt asks students to explain why recycling efforts have seemed to increase over time. The point of the outline above is to organize the initial information that the writer wishes to convey. Complete or full sentences are not necessary in the outline; it is merely meant to provide cues for starting the essay, like a roadmap of where the intro paragraph plans to go. Recycling involves the conversion of used materials into new or alternative materials for reuse. Processes to reuse materials and objects have taken place over centuries; however, recycling efforts have now become more important than ever before. Recycling efforts have increased over the years because of population growth, health concerns relating to pollution, and environmental distress caused by plastic in the oceans. By taking the time to plan out the introductory paragraph and compile the necessary information to support the thesis statement, students will be prepared to write without the confusion or last-minute frustrations. Many school policies and protocols today are not exactly reflective of the real world environment for which we are trying to prepare students. While these methods are put into place to encourage student success, the flip side of these practices can result in inadvertently fostering a level of helplessness, complacency, dependence, and excuses. How, then, can we ensure that students are well-supported, yet held accountable at the same time? The balancing act can be tedious, but there are some strategies that parents and teachers can utilize to prepare children and teens for the REAL WORLD. It is important that students be reminded of the very real likelihood that they will encounter failure in their adult lives—and probably more than a few times. They must be ready to handle challenges, setbacks, and obstacles in order to learn how to mediate those hurdles. A great student and future contributing member of society, no matter his or her career path, will be able to problem-solve. However, if problems are always solved for them, they will struggle to acquire this skill. Encourage students to follow up directly with teachers on assignments that did not go so well. If the grade is dreadful, instead of balling the paper up and throwing it away in frustration, provide students with time to conference about that specific essay or exam. Utilize opportunities for error analysis by providing specific feedback and areas of need. This way, students can use failure as a learning opportunity—a moment for growth as opposed to just disappointment. Remind children and teens that the grade is just one measure of their learning; it does not indicate their total level of knowledge or ability. Instead of dwelling on the percentage, use this as a reminder of skills that still need to be practiced or acquired. Reassessments, rewrites, resubmissions, etc., are a norm, especially for Montgomery County Public Schools. While the sentiment behind such policies is beneficial—we want students to correct mistakes, participate in reteaching opportunities, and make additional attempts to demonstrate their learning. However, there are several holes in the practice when students a) expect a second opportunity even before submitting the first attempt, and b) receive countless opportunities to increase the grade with little focus on the actual learning. Set boundaries and limits when it comes to reassessment opportunities. Allow for 1-2 major reassessments per quarter only. Otherwise, excluding extenuating circumstances, hold to the “one and done” policy. With fewer chances to show what they know, students will be motivated to do their best the first time. Help teach students how to prioritize steps and manage time for long-term assignments and final exams. Emphasize chunking and proactive planning to help students tackle complex or lengthy tasks with confidence. Instead of cramming with the expectation that they’ll be able to try again, students will learn how to organize themselves to succeed on the task the first time. It is okay to remind students flat-out: you will rarely get a second opportunity when it comes to college and career scenarios. This is why it is best to always try your best. Another key aspect of the real world that children and teens may be missing from their classroom experiences is the importance of meeting a deadline. It has gotten to the point that some teachers will accept any work, no matter how late, to ensure that students receive credit for completed or partially completed work. This does not foster punctual planning or accountability. Teachers should try their best to stick to deadlines once they have been set. Of course, if the entire class needs additional time for a task, it is necessary to make adjustments. However, extenuating circumstances aside, students should be ready to submit their work in a timely fashion. Create, explain, and adhere to a late grade policy. This way, students know exactly what the penalties will be if they submit late work. Explain to them that, much like a credit card bill, late submissions are subject to penalties, and American Express is not going to care that your internet was slow if you failed to pay your bill. MCPS follows the 50% rule for grading, meaning that, once attempted, a student cannot earn anything less than a 50% on an assignment, quiz, essay, test, etc. While this is the county policy, it is not reflective at all of the real world—we simply do not receive credit for a job started or somewhat attempted. We receive credit for a job well done. Explain to parents and students that the 50% rule means a “genuine attempt” at the task or assignment; it does not mean that a child can put their name on a paper and automatically receive half credit. As opposed to accepting an attempted assignment, provide another option for students to earn more credit. Explain to students that they can take the 50 by coming in during lunch for an additional work period. This teaches students that success cannot be achieved without effort and that there will be no “participation trophies” in college or the workplace. Especially as children become stir crazy cooped up inside during the winter months, behaviors can begin to fall out of whack. Perhaps routines have been off, bedtimes have been extended, or one too many holiday desserts has sent someone into a tizzy. Whatever the case may be, we can always appreciate a fresh approach to dealing with misbehaviors. If time-outs, confiscated iPads, or groundings are wearing on the family, a different approach could be beneficial. With a little patience, ok, maybe a lot of patience, conversations where parents prompt children to think critically about their behaviors can change the way in which children see misbehaviors all together. Critical thinking encompasses a complex set of higher order thinking skills. As opposed to memorization or fact-based knowledge, critical thinking includes relational, analytical, reflective, argumentative, or systematic thought processes. It is not so much what you know or think, but why or how you know and think that way. Because critical thinking often involves aspects of perspectives and/or decision making, these strategies can be the perfect platform for dealing with behavior management. Parents can mediate by asking questions about how an argument began. By taking a moment for reflective thinking, children begin to see how a small issue may have escalated or blown out of proportion. If children are calling one another names, diffuse the situation by talking about how these are opinions; they are not based on facts. Just because someone calls your stupid certainly does not mean that you are stupid. These words hurt, of course, but ask your child why this person’s cruelness affects them; do you value this peer’s hurtful opinion? Encourage siblings to take the other’s perspective for a moment. Ask why she thinks her brother acted that way towards her. Why might his friend have behaved this way? The key is, not so much in finding the exact purpose, but instead taking a moment to consider where that other person could be coming from. Ask about alternative responses for next time. Is there a better option for dealing with a conflict like this in the future? What is the best way to respond to your little brother next time this happens? What are we not going to do again, and why? A rational explanation and some critical thinking can go a long way when children are upset over things that other kids are allowed to do. Calmly explain that everyone’s family operates differently, and so-and-so might be able to stay up until 10 pm simply because their parents work late… Or perhaps so-and-so sleeps in and rushes out the door every morning…Or it is possible that so-and-so feels like a walking zombie at the school most days. Whatever the scenario, remind your child that there are reasons behind your household routines—and another family’s routine is frankly irrelevant. Discuss the implications of these decisions. If a friend is allowed to see R-rated movies, but your child is not, explain how an inappropriate movie could make them scared, uncomfortable, worried, restless, sleepless, and ultimately cranky or sluggish at school. Help them connect the dots between the rules and their purposes so that they see these guidelines as meaningful, instead of arbitrary. Ask your child flat-out: “Besides the fact that so-and-so is allowed, do you have a valid reason or justification for changing the rules this time?” This forces children and teens to justify or support their stance with effective reasoning. Encourage children to take a beat to evaluate the situation—what can we do to potentially solve this problem or ease this frustration? Think about why this particular task is causing so much frustration and use that as a new point of entry. If math homework is about to cause a fit, take a brain break, walk away from the math packet, and cool down. Then, approach the problem with a cool head and fresh viewpoint. Think about it in “grand scheme of things” terms—is this something that is going to keep me up all night or ruin my month? Chances are, this meltdown will be a nonissue in a matter of hours. Help them break down the problem or situation and tackle the parts that they feel confident about. Remind them to apply what they know and then use those methods to chip away at the task. If the task is still complicated, encourage children to write down exactly what it is that they don’t know or are missing—what would they need to solve this problem or complete this assignment? Apply the skill to a simpler problem and use that momentum to approach the more complex problem. Often times, in simplifying a question, we are better able to see aspects of the problem that we may have missed due to the complexity. Call it psychic power or paternal/maternal observations, but parents are often able to tell when an issue, conflict, or temper is about to erupt. Teach children this reflective skill by modeling how to gauge one’s feelings and emotions. This helps to avoid or circumvent conflicts or attitudes that could be problematic. Discuss the concept of foresight and how such anticipation can help in our decision making. Remind children that everything they do has an impact or effect on those around them. In considering these implications, children are able to pause to consider the ripple effect that any decision might have. The ability to contemplate and deliberate based on past experiences and logical reasoning allows children to make more informed choices, and thus behave in more considerate or responsible ways. A significant aspect of growth mindset, which we have discussed in earlier blogs, involves reflection through self-assessment and thoughtful consideration. While students might enact reflective practices naturally, and without much conscious effort, the key for growth and understanding is to actively engage in purposeful reflection. So, what can teachers do to encourage this process? Plenty! Most educators have heard of a KWL chart, which asks students to consider what they already know, want to know, and what they will eventually learn about a certain subject or topic. Often times, we utilize the KWL chart as a concept starter, but then we rarely have students revert back to it for reflection after the fact. This is a missed opportunity for reflection because at the center of a KWL chart, the essence, if you will, is the chance for students to reflect on prior knowledge and how that knowledge might connect to other concepts soon to be introduced. In doing this, the KWL chart, which some educators might consider a basic activator, transforms into more of a higher level thinking practice. To utilize it purposefully, teachers should focus much of the attention on the “K” section of the chart; form the opening discussion on what students are able to muster from memory and directed reflection. This way, students are able to garner a more in-depth view of the new concept by tying it to their prior knowledge. Teachers can also spur reflection before beginning a new concept by asking students to consider the purpose of an upcoming task or project before they even get started. By asking students to consider the task and then reflect on similar tasks that they have completed before that might relate, students begin to make additional connections and cross-curricular links. There is also a real-world component at play here. When students know why they are tasked with an assignment, they are able to invest more attention and effort, especially when the objective is tied to a real-world concept or practice. Reflection after the fact, what most of us consider to be linked with growth mindset and self-improvement, is obviously just as beneficial. When we encourage students to reflect, the process should extend beyond the material or content—they should truly be reflecting on the process or experience of learning. That is, ask students which method, activity, homework practice, or organizer was the most beneficial to their overall understanding. Did visuals or hands-on opportunities allow for more of a grasp? If students were to design their own assignment, which options would they prefer to use to reach the final objective? These thoughts and considerations act as subtle feedback to teachers, but also help to prompt students to consider who they are as learners and which strategies work best for them in certain scenarios. Reflection can also happen with peer feedback. This is especially beneficial when assessing a peer’s writing. In seeing how another student approached the essay, planned the research, executed the argument, etc., it triggers an automatic reflective response—students begin to assess their own work against that of their peers. In reviewing a peer’s writing, students are subtly encouraged to think back to their own writing tendencies and how another person interpreted the task somewhat differently. This broadens a student’s understanding of their writing as a whole and allows them to see another’s perspective simultaneously. Quite possibly (and most logically), the reason that Sunday scaries are even a thing is due to the fact that adults and adolescents alike choose to postpone or procrastinate during the weekend. For many of us, Sundays are reserved for cleaning, laundering, meal prepping, etc. High schoolers do the same thing—they put off any homework, projects, or essays until Sunday evening. Teens put school work off until the last minute because it is the last possible thing they would like to do during their weekend reprieve. While this makes perfectly logical sense, teens only compound their stress further and muster up Sunday scaries when they choose to save every task for Sunday night. Furthermore, in putting off these tasks, whether it be school work or chores, the item to be completed becomes that much more dreaded purely because of our previous avoidance. Instead, encourage teens to complete at least part of a large assignment or homework item early on in the weekend. This small modification removes the daunting task of simply sitting down and starting. For many, starting an assignment or essay is the most difficult aspect, and thus, the most avoided. Tackling something headon removes the anxiety associated with the very beginning of the task. In chunking an assignment or essay over the weekend, teens also help themselves with their time management, maintaining focus and attention, and prioritizing the most difficult aspects of the assignment, as opposed to all-out cramming in one sitting. Again, saving things for the last minute (Sunday night) only allows room for more unforeseeable obstacles and less time to circumvent those obstacles. If middle and high schoolers know that a permission form, essay, or application is due in the early part of the week, Sunday night is NOT the time to realize that they are missing a key component of that form, essay, application, etc. Checking for these essential items during the course of the weekend leaves time for any unexpected emergency to be taken care of so that Sunday scaries are kept at bay. Mark my words: Sunday night is when all printers run out of ink, or paper, or jam, or malfunction, or spontaneously explode. And you better believe that anywhere from two to ten other students will have the same printer “catastrophe” that prohibits them from submitting their essay on Monday morning. High schoolers can avoid this panic attack and their teacher’s subsequent eye-roll by printing ahead of time—it’s much easier to find an open Staples or Office Depot on Saturday afternoon than after 10pm on Sunday. Organizing tasks appropriately throughout the weekend allows students to identify and prioritize a to-do list. As natural procrastinators can tell you, teens would much prefer to do the easy or fun tasks first. However, this is of no help to them. Parents should encourage teens to get into the habit of completing the more difficult or high-stakes items first. Yes, it may be more enticing to come up with a cheer for the pep rally, but the history research paper should come first. Help middle and high schoolers prioritize their lists by using the “fun” tasks as rewards for completing the difficult items first. Using a small amount of time on Sunday night to look at the week ahead can help to alleviate the Sunday scaries as well. Often times, stress of the unknown or last-minute surprises are what create anxiety for teens. By sitting down and perusing the week’s calendar, families can ensure that a) everyone is on the same page about appointments/events, b) there are no surprises or last-minute to-dos, and c) events and tasks are evenly spaced as to not overbook any member of the family. A combined calendar in a central location also helps to correct the “I didn’t know” or “I forgot” excuse. If everyone is on the same page about the upcoming week, goals are sure to be met. Instruction in the primary grades is full of crucial elements and concepts—academic, social, and foundational skills that truly set students up for success. Besides the actual content-based curricula, elementary students should be exposed to essential tools and methods for fostering and developing self-advocacy, self-sufficiency, and autonomy in order to prepare them for their later years of academia and real-world challenges. Prepare students from the beginning of the school year by implementing and adhering to specific and consistent routines. For example, teachers may choose to begin each day or lesson with a warm-up to initiate thinking, spur conversation, and introduce concepts. Notably, a warm-up procedure can play double duty for teachers who hope to build independence among students. Introduce the warm-up procedure and expectations so that students know exactly what is expected of them when they enter the room. Model the warm-up process and begin with simple questions or sentence frames to allow elementary students to focus primarily on the routine at first. Evaluate or assess the warm-ups right from the beginning so that students apply a sense of value or importance to the daily practice/procedure. Remain consistent with the procedure and expectations for each warm-up so that students are able to grasp the process and begin to initiate it each day on their own. With a few weeks of practice, a simple warm-up lesson will begin to help prompt students to initiate a more independent work ethic. Because the process has been explicitly taught, modeled, and rehearsed, elementary students can quickly grasp the concept of activating, self-monitoring, and assessing their thinking. Introduce the concept of self-advocacy by starting with a means of organizing the night’s homework assignments. Similarly to the warm-up, teachers should introduce the mandatory practice of writing down the homework at the very start of the class. Emphasize the fact that writing down homework assignments, even if the assignment is “none,” is not optional. This helps students begin to adopt organizational strategies and self-management tools. Writing down the homework every class period also prompts self-advocacy in the sense that students begin to take ownership of the work that they must complete at home. Keep assignment titles brief but clear so that students know exactly what they are to be completing at home. Clearly announce and write down due dates and deadlines so that students can copy those essential details as well. Monitor agenda completion and subtly check or signature the daily assignments, especially for students with executive functioning needs. This helps hold students accountable for capturing the homework assignment and allows parents to see that teachers have signed off that the homework that was written down is correct. Encourage students to checkmark or cross off homework and agenda items as they are completed. Again, this helps students to practice self-monitoring and organizational strategies. Plan weekly or biweekly conferences to check in with students on their current classwork, writing progress, recent assessments, etc. These brief, five-minute, one-on-one conferences encourage students to speak up on their behalf regarding any missing classwork, confusing concepts, or recent grade changes. It also provides a time for teachers to check in on any potential areas of need on the individual level. In doing this, elementary students can begin to see that they play an active and essential role in their learning and development in school. They also begin to see the teacher as their ally, someone who is there to help them reach their goals and conquer obstacles. Prompt students to ask questions by providing samples of guiding questions or sentence frames to initiate the conversation. Offer students the option to write down their questions or concerns; this is especially helpful for shy or reluctant students who may need a little encouragement when speaking on their own behalf. Consider using data folders, charts, progress checks, or any other method of organizing data so that students have a tangible, visual collection of work to evaluate and discuss. A data folder also allows students an additional opportunity to organize and review completed work, which aids in the process of self-advocacy as well. Back to school means a resurgence of the feeling that parents, teachers, and elementary schoolers alike all dread—the Sunday scaries. This alliterative term, while somewhat melodramatic, describes the true sensation of angst or nervousness that begins to bubble up around Sunday evening. Whether the Sunday scaries emerge from the nervousness surrounding an impending due date, upcoming quiz, or just the general apprehension about the school week ahead, we all can relate to that sudden foreboding sense that can quickly turn a calm, lazy Sunday into a frenzied mess. For the first few years of early elementary school, organization falls mainly on the parents’ shoulders. 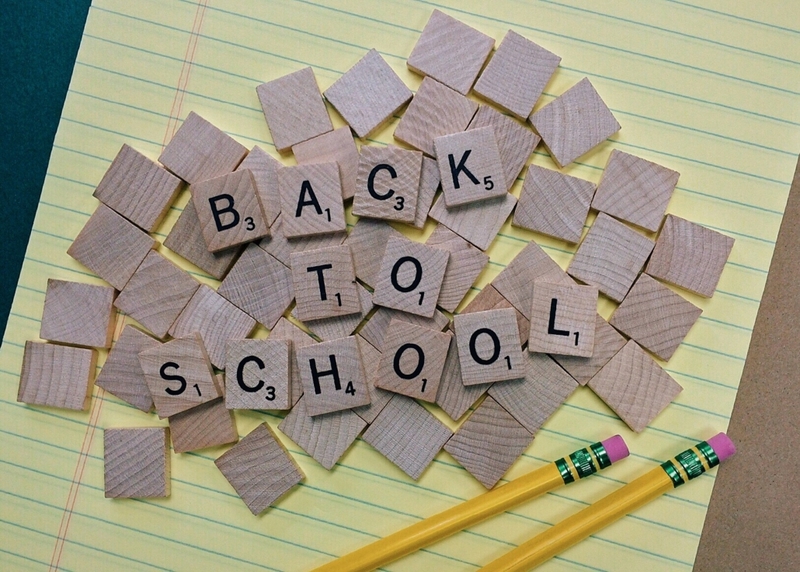 However, little by little, elementary schoolers will begin to observe how organizational skills help to mediate stress and maintain order for the school week ahead. Depending on grade level, organization could simply mean that children help their parents plan Monday’s outfit, lay out clothes for P.E. or after-school activities, assist with preliminary packing of the lunch box, or place backpacks and other essentials by the front door. As children get older, the responsibility for getting themselves organized for the week ahead can begin to become theirs alone. Organization is fundamental for elementary schoolers because it allows them to begin planning ahead, anticipating certain needs, contemplating the order of operations, etc. All of these life skills will become essential as children develop and gain autonomy. For now, parents can begin with something as simple as helping their child check the weather when planning for Monday’s outfit: Might we need an umbrella? Should we pack a light jacket? Will it be too cold for flip flops? These considerations help children feel secure in their planning by showing them what to expect as they head off to school, which certainly helps to ward off the Sunday scaries. Consider the scaries as proportionate to the amount of tasks to be accomplished before bedtime. We all know that feeling—Sunday scaries become increasingly more beastly as the to-do list piles up. To avoid the added stress, families can create a general weekend checklist of items that need to be accomplished during Saturday/Sunday downtime. By creating a checklist, families know exactly what needs to be completed in order to ensure a smooth start to the school week. The checklist also helps elementary schoolers divvy up the tasks throughout the weekend so that Sunday night does not have to turn into the daunting bewitching hour where everything goes off the rails. Organization comes into play again here with the checklist. Parents can help younger elementary schoolers by helping to prioritize the weekend checklist. For instance, homework or reading assignments should come close to the top of the list, as those items, especially when procrastinated, can become anxiety-producing. Using a small amount of time on Sunday night to look at the week ahead can help to alleviate the Sunday scaries as well. Oftentimes, stress of the unknown is what creates anxiety for school-aged children. By sitting down and perusing the week’s calendar, families can ensure that a) everyone is on the same page about appointments/events, b) there are no surprises or last-minute to-dos, c) events and tasks are evenly spaced as to not overbook any member of the family. Laying out the weekly calendar also helps to build independence among school-aged children. They begin to recognize their own important tasks, practices, appointments, etc. This allows them to begin to feel a sense of control over what will go on in the week ahead.